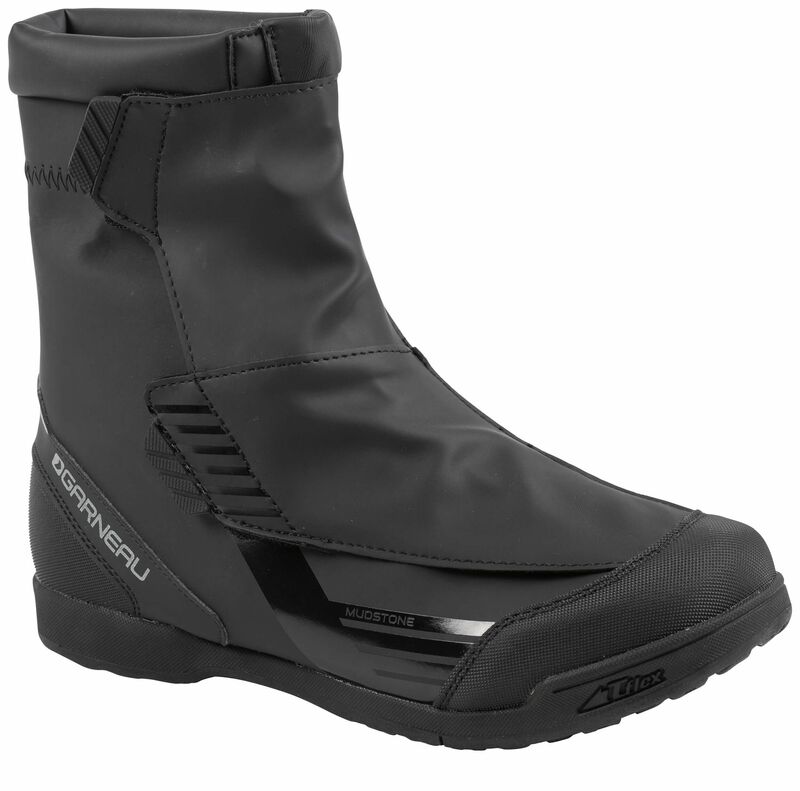 The Garneau Mudstone Shoes are great for mountain biking, fatbiking, or any type of riding done in cold and wet conditions. Good for the mud, good for stones, the Garneau Mudstones shoes have a flat outsole that's great for riding and walking around the trails, with a recessed insert that's compatible with all styles of SPD cleats. Great for Mountain Biking, Fat Biking, or any conditions when water and cold are present. The Mudstone Shoes have an extra insulated toe box with a high volume fit last, so you can wear thick socks without having to size up. They're fully waterproof with a three layer construction using synthetic leather and a neoprene sealed cuff for better protection. 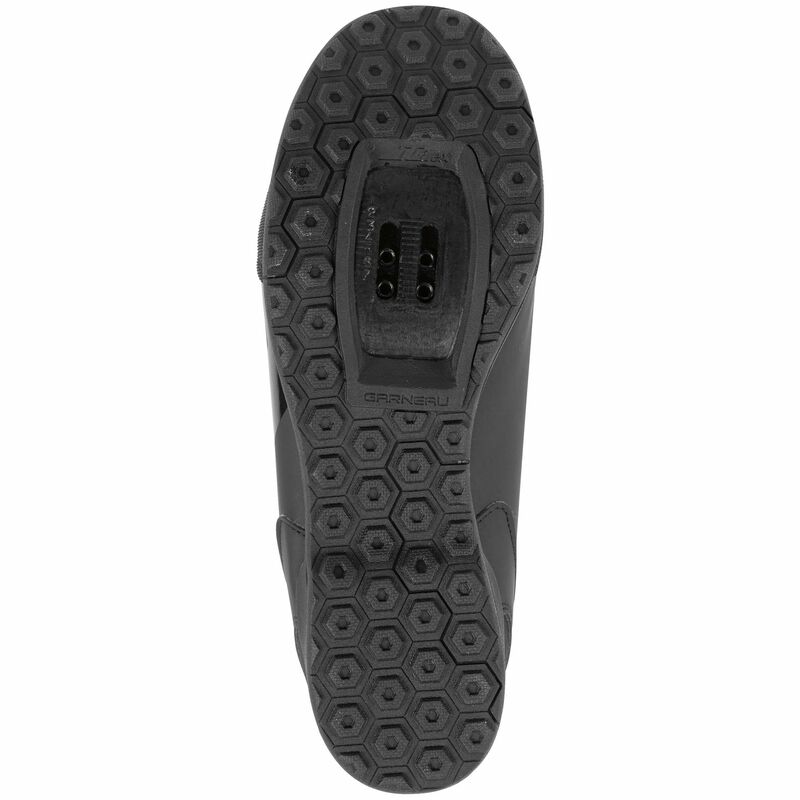 BOA IP1 dial is easy to adjust while riding with gloves, and Ergo Grip II outsole provides excellent traction in wet walking conditions. Cleats: Removable SPD plate, SPD cleats fit all major MTB pedals, Cleats aren't included with the shoes. To easily attach your Mudstone shoe, start by tightening the BOA fastener. Once tightly tightened, raise the zipper and close the hook and loop fastener. This way, the zipper should never force.